Patchwork USA is a celebration of my favorite type of sewing: simple, colorful patchwork. This hardbound book is packed with 24 beginner friendly projects along with tons of ideas for customizing and gifting them to those you love. A vintage travel theme brings all kinds of fun to these pages through gorgeous photographs and playful design. Read the story behind the book at this post and purchase your own copy here or here. Please share your photos of finished projects on social media using the hashtags #patchworkusa and #fabricmutt. Many thanks to Lucky Spool for publishing this book that I've dreamed of for so long! My Soda Pop Shop Quilt and Motel Key Pillow PDF patterns are available exclusively through the Lucky Spool website. 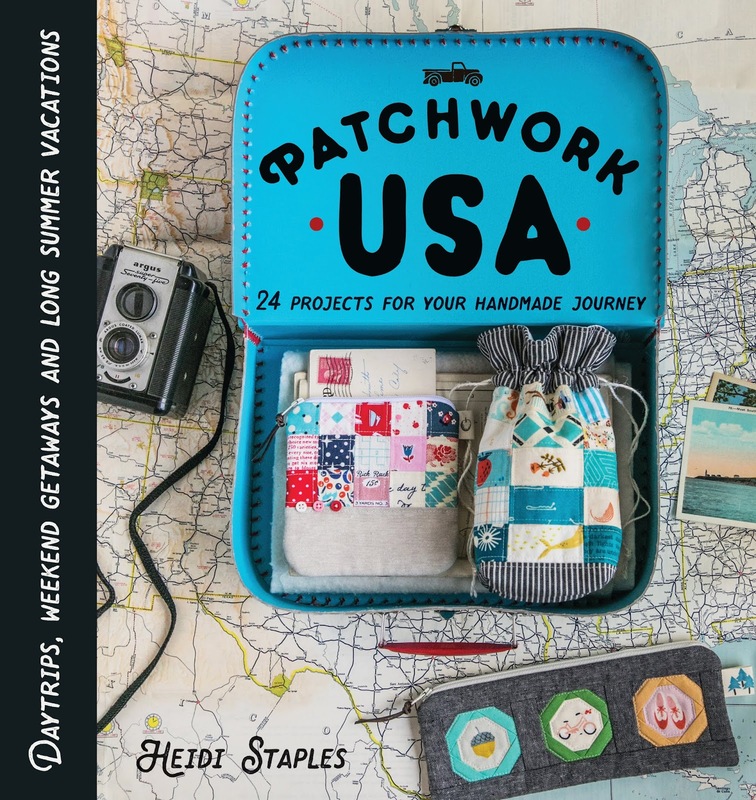 Both are traditionally pieced, beginner friendly, and full of retro nostalgic goodness just like Patchwork USA. 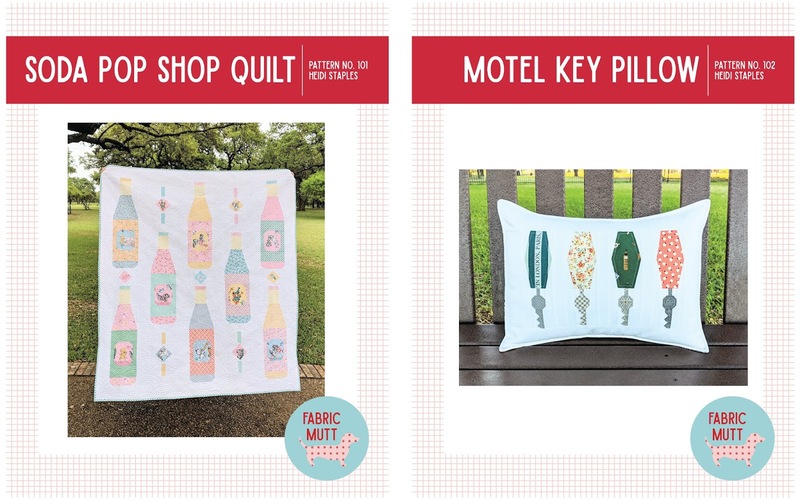 Be sure to share your finished projects with the hashtags #sodapopshopquilt, #motelkeypillow, and #fabricmuttpattern. Happy sewing! Sew Organized for the Busy Girl is really just a snapshot of my life, a chance to share with you how much I love to sew and how I find time to do it in the midst of a busy life. There are lots of projects in here that are quick to finish and easy to customize for different occasions. I've also included some bigger items that can be worked on over a longer period of time. Throughout the book you'll find tips from popular sewing bloggers and pages where you can journal your own ideas for your personal sewing journey. If you post any projects from my book on social media, please be sure to add the hashtags #seworganizedforthebusygirl and #fabricmutt so I can see what you're making!